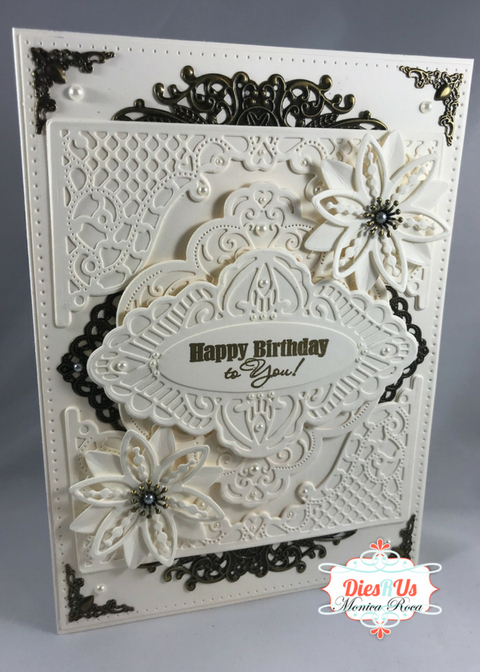 Dies R Us: Happy Birthday to You! Monica's here today! Before I get started I just wanted to say hope everyone is having a fabulous holiday weekend! I needed to create another Birthday card, so this time I decided to go with an all cream card. So without further delay here is my card for today. As always for full details check out my YT video below. sorry I'm so late commenting but I truly LOVE this creation! Absolutely beautiful and wonderful inspiration to us all! Thanks so much!